The dramatic decision by the AIPP Board to resign and close head office has provoked a wave of support for the Institute from members, and a significant uptick in member renewals and new memberships. Award-winning commercial photographer, Lisa Saad, created this graphic for supporters to display. The AIPP Community Facebook page is hosting an outpouring of goodwill, and recognition of the efforts of the Board, National Office, and all volunteers. Both senior and new members are indicating they’ll help rebuild the AIPP. ‘My heart goes out to the National Office and to the Board. Thank you for all the unimaginably hard work you all have had to do leading up to this,’ wrote fashion photographer, Robert Coppa. ‘I made a commitment to the AIPP and to the ACT AIPP Council, and will continue to provide any and all support that I can give. I look forward to the state awards and to rebuilding from here, as many have said – united we stand , divided we will surely fall. 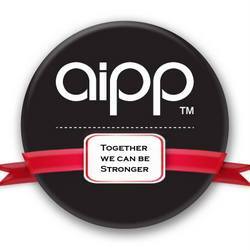 Members are encouraging each other to breath life into the AIPP. It begins by financially supporting the struggling Institute, through renewing subscriptions or attending events and entering awards. Since the announcement there’s been 40 membership renewals. Former national president of the AIPP, Ian van der Wolde. Source: Altered Images. ‘I wish to publicly thank the Board and National Office on what must have been a most difficult decision to make. You all have my respect and I wish you well,’ wrote master photographer, Ian van der Wolde. ‘As a past national president and someone who has given more than 20 years of his life serving in an executive capacity with the institute, it breaks my heart to see this happening. Many of the 40 renewals are disgruntled former members, who are ‘renewing subscriptions in droves’, ProCounter was informed by a photographer close to the matter. Remarkably, there’s also 20 new membership subscriptions since the announcement. We understand and support this very difficult decision the board has had to make; but which is in the best interests and the long-term future of the Institute,’ posted Northern Territory council member, William Carroll. ‘We are confident this will be remembered as a defining moment in the Institute history, where it rose from adversity to celebrate and build on the goodwill, generosity and hopes of all those who came before to become an even greater and stronger fraternity. 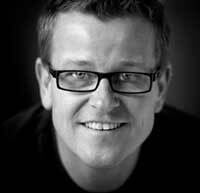 While there’s a tough road ahead for the AIPP, the reaction from the industry has been positive. For over 50 years, the Australian Institute of Professional Photography has, and will continue to have, a strong role in the photographic community through the dedication and hard work of our volunteers. built what is recognised globally as the best print award systems that we now run at state and national levels; established an accreditation system that upholds ethical standards, requires continuing professional development and strives for the delivery of quality images to all clients; introduced educational and mentoring programs for our membership, including student bursaries for the next generation of professionals; fundraised through our generous membership significant contributions for health-related charities; hosted and promoted many successful national and state conferences; created ongoing public awareness of the Institute and Accredited Professional Photographers within the community and government through the Reflections project, something we should all be very proud of. In recent weeks, we have seen a barrage of social media commentary about the direction of the Institute, some from non-members with strong personal agendas. Many of the voiced concerns and criticisms relate to long term changes and initiatives that the current board did not create, but inherited. Over the past seven years, the Institute has invested heavily in technology and training to offer members a better interaction and experience, both at the awards level and with general member administration. As with any planning and investment, the strategies and returns are long term, so reduced financial equity (our bank balance) does not need to be seen as a negative – if the investments build on the long-term strength of the Institute. We are all passionate artisans. Many of the views and comments shared on social media have contributed to these unprecedented events. Unfortunately, some of the comments made on unregulated external forums have caused deep distress to those who volunteered to do their best for the Institute on our behalf, the impact on their personal lives and business over the past weeks has been extreme. We sincerely thank the current Board for all they have contributed, and encourage all members to share this sentiment directly to those who have served on the Board, and to the National office staff who have been impacted by these ongoing comments. The strength of the Institute is with its volunteer culture and now is the time for all members to reflect on what they can do to support it – and in turn the profession of photography in Australia. We all need to focus on the positives, look at what we have achieved and ensure we build on that legacy. Editor’s note: ProCounter is aware that comments posted to the private AIPP Community Facebook page are closed, and not intended for public viewing. If any individual takes issue with them being republished here, please contact us. However we believe the positive messages emanating from members is worth sharing.